35:9 The Lord spoke to Moses, saying: 10 Speak to the Israelites, and say to them: When you cross the Jordan into the land of Canaan, 11 then you shall select cities to be cities of refuge for you, so that a slayer who kills a person without intent may flee there. 12 The cities shall be for you a refuge from the avenger, so that the slayer may not die until there is a trial before the congregation.13 The cities that you designate shall be six cities of refuge for you: 14 you shall designate three cities beyond the Jordan, and three cities in the land of Canaan, to be cities of refuge. 15 These six cities shall serve as refuge for the Israelites, for the resident or transient alien among them, so that anyone who kills a person without intent may flee there. [...] 35:30 If anyone kills another, the murderer shall be put to death on the evidence of witnesses; but no one shall be put to death on the testimony of a single witness. 31 Moreover you shall accept no ransom for the life of a murderer who is subject to the death penalty; a murderer must be put to death. 32 Nor shall you accept ransom for one who has fled to a city of refuge, enabling the fugitive to return to live in the land before the death of the high priest. 33 You shall not pollute the land in which you live; for blood pollutes the land, and no expiation can be made for the land, for the blood that is shed in it, except by the blood of the one who shed it. 34 You shall not defile the land in which you live, in which I also dwell; for I the Lord dwell among the Israelites. 8:31 What then are we to say about these things? If God is for us, who is against us? 32 He who did not withhold his own Son, but gave him up for all of us, will he not with him also give us everything else? 33 Who will bring any charge against God’s elect? It is God who justifies. 34 Who is to condemn? It is Christ Jesus, who died, yes, who was raised, who is at the right hand of God, who indeed intercedes for us. 35 Who will separate us from the love of Christ? 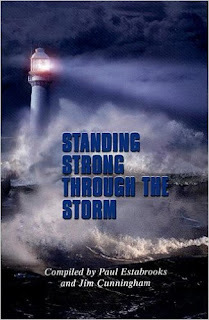 Will hardship, or distress, or persecution, or famine, or nakedness, or peril, or sword? 36 As it is written, “For your sake we are being killed all day long; we are accounted as sheep to be slaughtered.” 37 No, in all these things we are more than conquerors through him who loved us. 38 For I am convinced that neither death, nor life, nor angels, nor rulers, nor things present, nor things to come, nor powers, 39 nor height, nor depth, nor anything else in all creation, will be able to separate us from the love of God in Christ Jesus our Lord. 23:13 “But woe to you, scribes and Pharisees, hypocrites! For you lock people out of the kingdom of heaven. For you do not go in yourselves, and when others are going in, you stop them. 14 Woe to you, scribes and Pharisees, hypocrites! For you devour widows’ houses and for the sake of appearance you make long prayers; therefore you will receive the greater condemnation. 15 Woe to you, scribes and Pharisees, hypocrites! For you cross sea and land to make a single convert, and you make the new convert twice as much a child of hell as yourselves. 16 “Woe to you, blind guides, who say, ‘Whoever swears by the sanctuary is bound by nothing, but whoever swears by the gold of the sanctuary is bound by the oath.’ 17 You blind fools! For which is greater, the gold or the sanctuary that has made the gold sacred? 18 And you say, ‘Whoever swears by the altar is bound by nothing, but whoever swears by the gift that is on the altar is bound by the oath.’ 19 How blind you are! For which is greater, the gift or the altar that makes the gift sacred? 20 So whoever swears by the altar, swears by it and by everything on it; 21 and whoever swears by the sanctuary, swears by it and by the one who dwells in it; 22 and whoever swears by heaven, swears by the throne of God and by the one who is seated upon it. 23 “Woe to you, scribes and Pharisees, hypocrites! For you tithe mint, dill, and cummin, and have neglected the weightier matters of the law: justice and mercy and faith. It is these you ought to have practiced without neglecting the others. 24 You blind guides! You strain out a gnat but swallow a camel! 25 “Woe to you, scribes and Pharisees, hypocrites! For you clean the outside of the cup and of the plate, but inside they are full of greed and self-indulgence. 26 You blind Pharisee! First clean the inside of the cup, so that the outside also may become clean. Woe to you, scribes and Pharisees, hypocrites! For you lock people out of the kingdom of heaven. God did this so that, by two unchangeable things in which it is impossible for God to lie, we who have fled to take hold of the hope set before us may be greatly encouraged. We have this hope as an anchor for the soul, firm and secure. It enters the inner sanctuary behind the curtain. I suppose there has never been a marriage between two honest, self-examining people that at some time has not reached a seemingly irredeemable low point. There have been moments in my own marriage when the wall between my wife and me seemed too high to hurdle, too thick to break. We found it hard to muster hope. It was not easy to be confident that somehow the barriers blocking our oneness could be removed . . . . Too many unhappy spouses claim promises that God never made as their foundation of hope. They trust that if they do all they can, God will change their spouses into the loving Christians they should be. But a reason to live never consists of a guarantee that “Things will get better” or that “God will save your husband and help him stop drinking.” The hope of the Christian is far deeper than a mere change in someone else. The hope of the Christian is inescapably bound up in the grace of God. 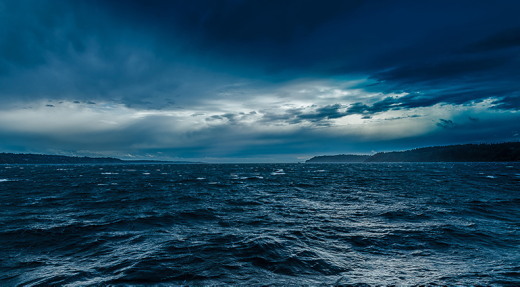 It would be easy to quote a few verses from Hebrews (especially 6:18–19), and speak glowingly about the sure hope in Christ that serves as an anchor for our souls. But if you are plagued by chronic despair that results in a “Why bother” attitude, then prayerfully consider the following. The Lord has not promised to put your marriage together for you. The hope of the Christian is not that one’s spouse will change or that one’s health will improve or that one’s financial situation will become good. God does not promise or rearrange our worlds to suit our longings. He does promise to permit only those events that will further his purpose in our lives. Our responsibility is to respond to life’s events in a manner that pleases the Lord, not to change our spouses into what we want. Even if we respond biblically, we have no guarantee that our spouses will respond in kind. Though they file for divorce or continue to drink or nag all the more, there is reason for us to persevere in obedience. Certainly if both partners build on the foundation of hope and strive earnestly to live biblically, even the worst marriage can be turned around. Either way, there is reason to hope. This reason is bound up in the grace of God. In God’s presence, there is never cause for despair. Our spouses may not do what they should to restore our marriage to happy, fulfilling relationships. But if we remain faithful to God, pouring out our emotions before him, renewing our commitment to seek him, trusting him to guide us in our responses, then he will sustain us through our trials and provide rich fellowship with him. There is reason to go on. There is hope. God’s grace is sufficient. Dear Lord, my heart is heavy for the husbands and wives who are battling hardships in their marriages. I feel lead by your Holy Spirit to pray for hope. Not just a hope to encourage them through another day of enduring, but a hope that they will experience a renewed marriage relationship. Hope that will strengthen their hearts, give peace to their minds, and fill them with faith of the coming goodness. I pray that these husbands and wives will honor you with their lives and that you will be glorified. May the power of your Holy Spirit anoint them, stirring in them an intentionality that will launch their marriages into your will, where love will abound! I pray for these couples, asking that you help them, protect them, and guide them. In Jesus’ name. Amen. Scripture taken from the Holy Bible, New International Version®, NIV® Copyright ©1973, 1978, 1984, 2011 by Biblica, Inc.® Used by permission. All rights reserved worldwide. Devotion taken from NIV Couples’ Devotional Bible. There has never been a marriage between two honest, self-examining people that at some time has not reached a seemingly irredeemable low point. La lengua es un miembro muy pequeño del cuerpo, pero hace alarde de grandes hazañas. ¡Imagínense qué gran bosque se incendia con tan pequeña chispa! Dicen los que saben que la lengua es uno de los órganos más pequeños del cuerpo. Con la lengua también se hace referencia al sistema de comunicación o idioma de una comunidad. Este órgano posee las glándulas gustativas que nos ayudan a disfrutar los alimentos. Sin embargo, la lengua también se menciona en la Biblia como una advertencia que nos ha dejado Dios para que la usemos bien, ya que puede causar mucho daño, como es en el caso de la murmuración. Dios califica la murmuración o chisme como pecado. Con la lengua se puede destruir a una persona. Menos mal que solo nos dio una lengua. ¿Te imaginas si tuviéramos más? Hoy, al igual que toda esta semana, estamos viendo cómo cada uno de estos miembros de nuestro cuerpo se creó con un propósito divino, pero que a veces los hombres les hemos dado un mal uso. Del mismo modo que en los demás devocionales, aclaro que no todos usan mal la lengua. Hay otras personas que bendicen con sus palabras y no se prestan para hablar ni hacerles daño a los demás. Señor, hoy me comprometo a guardar mi lengua y a honrarte con ella. Dicen los que saben que la lengua es uno de los órganos más pequeños del cuerpo. A young Romanian Christian was called in to the secret police for interrogation. He had dreaded this moment. Fear gripped him throughout and he was unable to give a categorical rejection to the police offers of good treatment and security if he would only inform on his fellow-believers. He did not accept the offer either, but his inability to reject it unquestioningly brought personal agony. He could not sleep that night because of his fear and guilt. The next morning led of the Holy Spirit, an older Christian came to visit the family. He was unaware of the young man’s dilemma. Being a former prisoner for his faith, he was able to counsel the young man from Scripture about his situation. He built up the young man in fellowship, training him for the next ordeal. It came the same afternoon when the youth was taken in for his second interrogation. The same thing happened and the young man was still upset by his answers. Again the older believer came to encourage him. Three days of more interrogations passed. Eventually the young man was able to reject the police offer completely. With no further hold on him, the police let him go. 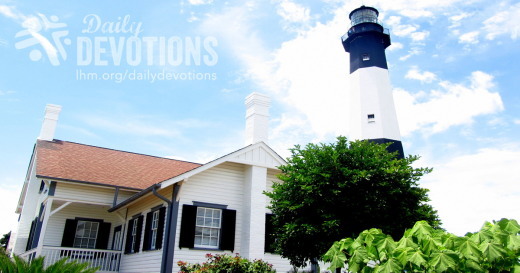 Counsel, prayer and patient caring had brought him through and trained him in righteousness. 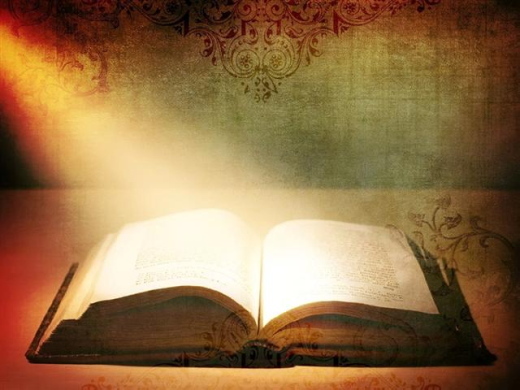 To maintain biblical integrity, let us consider training as a prescribed course in righteousness in which each individual is disciplined through practice to be obedient to God’s direction for mankind and able to withstand the schemes of the devil. People who commit themselves for a cause have a right to expect training in the job for which they have been selected. In some of the trades, this is called “apprenticeship.” In medicine, it is known as “internship.” In the military, it is referred to as “basic training.” In scripture, it is referred to as “discipleship.” However, in our modern day, training is often by-passed due to the pressures of time, need and a low value placed upon the office to be filled. This was not the case with Jesus in His selection and training of His disciples. RESPONSE: I want to be a trained disciple of Jesus Christ. I will submit to His guidance and discipline. PRAYER: Lord, help me to realize and accept Your “training” process as I follow You today. Girlfriends in God - Keep Going! So, let’s not get tired of doing what is good. At just the right time we will reap a harvest of blessing if we don’t give up. I know you don’t understand why a loving God would allow so much pain to saturate this broken world and perpetuate such loss and hurt. I don’t either. But God’s ways are so much higher than my ways, and His thoughts are for my eternal good – not my temporary comfort. I am banking on eternity. I am counting on the character of God and His heart of unconditional, unmerited, and undeserved love. God’s forgiveness gives me the strength to get out of bed each morning, and His peace is my comfort in the dark, lonely night. Like you, I sometimes ask God why He has allowed a circumstance to exist. I have questioned His favor and allowed fear and worry to make me doubt His plan. And I have to tell you that I can now look back and see so many of the question marks yanked into exclamation points in my life. I am so thankful He said “no” to so many of the prayers I desperately wanted Him to answer with “yes.” He is God. He is able and He is more than enough. No matter where you are today, know He is with you and that His heart is for you. Don’t quit. He is not angry with you. You are His daughter, the apple of His eye and His cherished child. Don’t give up. Right now, surrender all of your pain to Him. Shed your tears, knowing He will collect them all and one day pour them back into your life as a refreshing rain of restoration and healing. Keep going. Ask your questions, knowing Heaven is not in a panic and that your God really is who He says He is and that He will do what He has promised to do. He simply waits for you to trust Him. Father, I come to You like a child. My faith is small and my strength almost gone. I am desperate for You. I don’t understand what is happening in my life, and I am ready to give up. I want to quit. Please don’t let me, Lord. Give me Your strength and hope for today. Help me to keep going, trusting You every step of the way. Read Proverbs 3:5-6. “Trust in the Lord with all your heart; do not depend on your own understanding. Seek His will in all you do, and He will show you which path to take” (NLT). Record these verses in your journal. Circle each action word and then right out the plan you need to follow to trust God. What “next step” do you need to take in order to begin again and trust God? 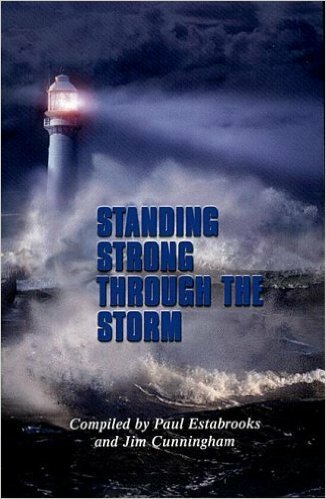 Check out Mary’s E-Book Bible Study, Strength for the Storm, if you need help navigating the storm in your life. The story is told of a great pianist who was scheduled to perform for a small country town. Bless those who persecute you; bless and do not curse them. Rejoice with those who rejoice, weep with those who weep. Live in harmony with one another. Do not be haughty, but associate with the lowly. Never be wise in your own sight. Repay no one evil for evil, but give thought to do what is honorable in the sight of all. If possible, so far as it depends on you, live peaceably with all. ... Do not be overcome by evil, but overcome evil with good. The story for today's Daily Devotion could have read this way: Ray Rhinehart's mother collected dolls. As the years passed by, the collection grew. When Rhinehart's mom passed away, he surveyed the collection which was close to becoming a small town. Not knowing what to do with all these plastic people, Rhinehart elected to pass it on to the Discovery Shop, a store run by the American Cancer Society. Yes, the story could have ended with Rhinehart dropping off his mother's doll collection. Amazingly, that's not the way the story went in real life. What really happened is this: Rhinehart dropped off the doll collection, but the people at the Discovery Shop didn't have time to really look at it until about a month later. What they found surprised them. It surprised them so much they called up Rhinehart and said, "We think you need to come back to the store." Rhinehart went and when he did, he was given an envelope -- an envelope which had been packed away with the dolls -- an envelope which held $36,000 in cash. Now the article never says if any of the folks at the Discovery Shop who found the cash were Christians. Even so, I'm willing to guess some are. * Do I say that because I think only Christians are honest? Nope, I don't think that. * Do I say that because I believe Christians can't be thieves? Nope, I would never say that. The truth is Christians are sinners, and every kind of sin can be found in our ranks. That being said, I am convinced a high percentage of believers are committed to living a life which is different than that of the average unbelieving Joe or Jane. Touched by the Savior's love, moved by His sacrifice, desiring to do that which honors Him, believers have been changed by the Holy Spirit. 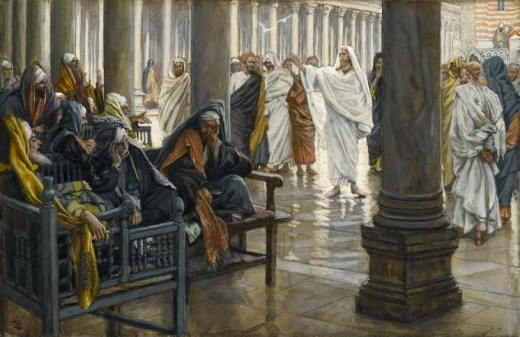 That is why in Jesus' day when publicans like Zacchaeus were brought to faith, they said things like "Behold, Lord, the half of my goods I give to the poor. And if I have defrauded anyone of anything, I restore it fourfold" (Luke 19:8b). Zacchaeus, like millions of others since him, found out that "if anyone is in Christ, he is a new creation. The old has passed away; behold, the new has come (2 Corinthians 5:17). And the new person who comes in Christ doesn't keep $36,000 which isn't his. THE PRAYER: Dear Lord, I regret and repent of all those sins I have committed. Grant that in my new, forgiven life I may do those things which bring honor to Jesus my Savior and Lord. In the Savior's Name, I ask it. Amen. Los sabios se avergüenzan, se espantan y quedan consternados. Es un hecho que aborrecen la palabra del Señor. Entonces, ¿de qué sabiduría hablan? La evaluación de las Escrituras es clara: Dios no está tan impresionado con la sabiduría de la humanidad. Eso es lo que Jeremías estaba diciendo cuando el Espíritu Santo lo inspiró a escribir que el sabio que ha rechazado la sabiduría del Señor será avergonzado. En verdad, nosotros no somos tan listos como pensamos. Como prueba de ello, veamos una historia acerca del gran investigador Sherlock Holmes y su colega, el Dr. Watson. La historia empieza con ellos dos yendo de campamento, armando la carpa y encendiendo un fuego para pasar la noche. Horas después, Sherlock despierta a su amigo y le dice: "Watson, mira al cielo y dime qué ves." Watson responde: "Veo millones de estrellas." Sherlock dice: "¿Qué te dice eso?" Watson piensa un minuto: "Astronómicamente hablando, me dice que hay millones de galaxias y potencialmente billones de planetas. La posición de las estrellas me dice que apenas son las cuatro y media de la mañana. Meteorológicamente hablando, me indica que vamos a tener un día maravilloso." Luego, Watson preguntó: "Y tú, Sherlock, ¿qué ves?" Sherlock guardó silencio por un momento, y luego dijo: "Lo que veo, querido Watson, es que alguien nos ha robado la carpa." Aun cuando todos nos beneficiamos y alegramos en los regalos de Dios que nos llegan a través de los avances de la tecnología y la medicina, debemos admitir que, al igual que el Dr. Watson, algunas veces no nos damos cuenta de lo obvio. No nos damos cuenta que por naturaleza somos pecadores. Nos olvidamos que la única forma de ser perdonados y salvados es a través de la fe en el Salvador crucificado y resucitado. No recordamos que, aun cuando la medicina puede proveer ayuda, y a veces curar, la muerte nos llegará de todas maneras. Nos olvidamos que los avances de la tecnología pueden hacer la vida más fácil, pero la vida eterna sólo nos llegará a través de la fe en Jesús. Así que, ¿cuál es la verdadera sabiduría, y dónde puede ser encontrada? 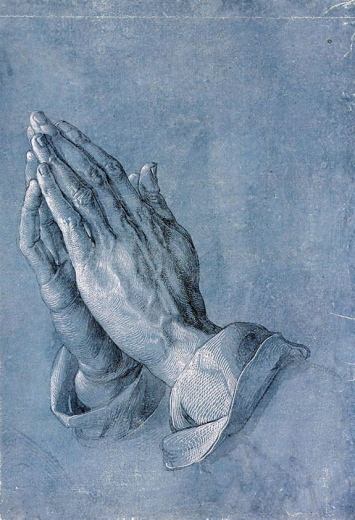 ORACIÓN: Amado Señor, verdaderamente toda bendición, incluyendo la sabiduría y la tecnología, vienen de ti. Enséñame a ser agradecido por todas estas cosas, y por el regalo de la salvación que Jesús logró por mí a través de su sufrimiento, sacrificio, muerte, y resurrección. En su nombre. Amén. He allí el grande y anchuroso mar, […] allí este leviatán que hiciste para que jugase en él (Salmo 104:25-26). «Cada vez que tomas una muestra en lo profundo del mar, encuentras especies nuevas», dijo el biólogo marino Ward Appeltans. En el último año, se han identificado 1.451 clases nuevas de vida marina. No conocemos ni la mitad de lo que está allí abajo. 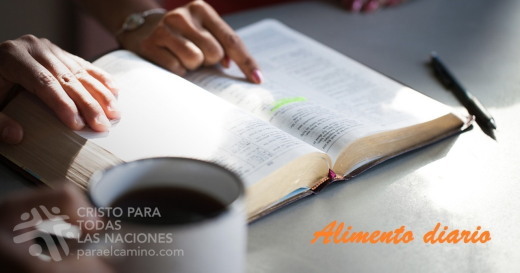 En Job 38–40, Dios hizo un repaso de su creación, para ayudar a Job. De forma poética, enfatizó las maravillas del clima, la inmensidad del cosmos y la variedad de criaturas; cosas que podemos observar. Luego, habló del misterioso leviatán; una criatura sin igual, con una armadura contra arpones (Job 41:7, 13), poder encantador (v. 12) dientes que espantan (v. 14), y del que sale fuego de su boca y humo de su nariz (vv. 19-20). «No hay sobre le tierra quien se le parezca» (v. 33). Pero ¿por qué habla Dios de una criatura enorme que no hemos visto? Para aumentar nuestra comprensión de su carácter sorprendente. El salmista lo amplió cuando escribió: «He allí el grande y anchuroso mar, […] allí este leviatán que hiciste para que jugase en él» (Salmo 104:25-26). Después de la aterradora descripción de Job, nos enteramos de que Dios creó una sala de juegos para la más temible de las criaturas. Hoy exploramos el océano, pero tendremos la eternidad para descubrir las maravillas de nuestro Dios magnífico, misterioso y travieso. Señor, ¡qué maravilla tu creación! Explorar la creación nos enseña sobre el Creador. Cada vez que tomas una muestra en lo profundo del mar, encuentras especies nuevas.